Frontline Protection Group is an Australian owned and operated professional security, investigations and safety company. We provide tailored security, investigations and safety solutions for individuals and businesses focusing on customer service and client requirements. As a fully approved and listed security services provider with Ebix Australia Trade Monitors we can provide a vast and comphrensive array of professional services. 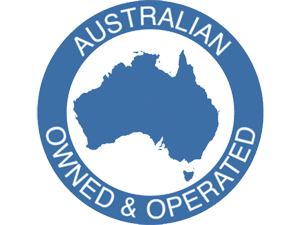 The majority of staff have, served in the Australian Army or have have extensive experience in private security in body guarding, asset protection, corporate and executive protection, surveillance, static guarding, investigations, escorting and protection of valuables, man management and high readiness response. Frontline Protection Group provides a professional security service to all clients focusing on a high level of customer service, professionalism and expertise.Frontline Protection Group specialists have excellent communication skills and are very well presented. 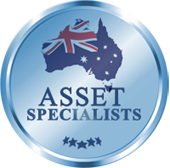 We exceed client's needs and expectations and can adapt to any situation to protect your assets, personnel or property. Frontline Protection Group helps government departments, top 100 listed companies, private businesses and individuals protect their assets, business and staff. Our security services that we provide to numerous businesses and individuals include onsite guards, surveillance, Close Personal Protection (CPP), consulate security, bodyguarding, investigations, risk management, risk assessments, event security, asset protection, security audits, residential and high rise security, marina security, gatehouse security, industrial site security, retail security, warehouse security, construction site security, security patrols, alarm response, corporate security and concierge. We also provide security services for private functions, product launches, business meetings, conferences and Annual General Meetings (AGM). All security specialists hold valid licences as required by legislation. Frontline Protection Group security specialists are available at anytime to meet your security needs and requirements. We provide security to people and the protection of assets 365 days a year 24/7. To provide and deliver a professional security and investigative service through dedication, focusing on client’s needs , customer service, professionalism and expertise.